Why did Latvians come to Queensland? Unlike many other migrant groups seeking a better economic life, Latvians came here to escape oppression by foreign rulers in their native land in two distinct phases—as a small number of individuals prior to World War I and as part of large groups during a concentrated period from 1948 to 1952. Individual Latvians settled in Australia in the 19th century, but significant numbers arrived only after the 1905 Revolution as political exiles. The 1933 census records 427 Latvian-born persons living in Australia, of these 80 in Queensland. A Latvian organisation may have existed in Brisbane around World War I. If so, it did not last and there is little written evidence of this first wave. Latvians, together with Estonians and Lithuanians, were the first ethnic groups in the large postwar immigration wave of “displaced persons” from Europe that started in 1947. It has been estimated that some 17,000 persons born in Latvia, and a further 2,500 persons born elsewhere but of Latvian origin, settled in Australia between 1947 and 1952. Including prewar settlers, by 1952 about 20,000 Latvians were living in Australia. 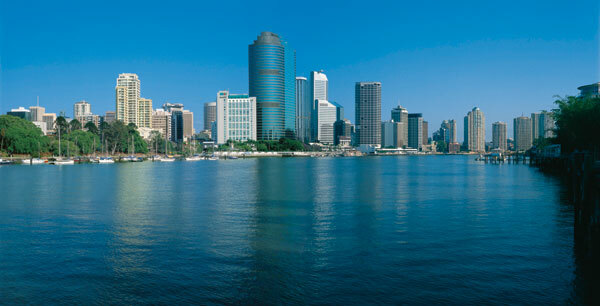 Queensland was a less popular destination than the southern states because many feared its hot and humid climate. Probably about 1,500 people of Latvian origin came to Queensland, though a figure of 2,000 has also been mentioned. They started to arrive in 1948 and settled mostly in or near Brisbane, but in smaller numbers also in Rockhampton, Mackay, Townsville, Cairns and Mount Isa. The early years were primarily spent in establishing a new life, attaining economic security and buying or building a home. Many had to study, while holding down other jobs, to have their previous qualifications recognised or re-established. Parents had learnt that education was the only thing of value that could be carried by a refugee or migrant. Children were therefore encouraged and assisted to obtain a good education, preferably at the tertiary level and leading to a professional qualification. Despite coming to Australia without capital and belongings, Latvians quickly and successfully adapted to life in Queensland and became reasonably secure economically. Latvian community life commenced as soon as a few hundred people had arrived. The first Lutheran church service for Latvians, attended by 54 people, was held Nov. 24, 1949, albeit in German. On Jan. 14, 1950, a Latvian choir was founded. The first church service in Latvian was held in March 1950. The Brisbane Latvian Association started work in January but was formally founded on April 15, 1950. A second Latvian congregation was established on Oct. 14, 1951. Soon both congregations ran a Latvian school on Saturday mornings, which later merged into one school. A Latvian folk dance group was started in October 1951 and youth educational courses in October 1952. A Queensland branch of the worldwide Latvian Relief Society Daugavas Vanagi was established on Jan. 30, 1952. Within two years all essential religious, educational, social and cultural activities were fully operational. Over the years other groups developed: Boy Scouts and Girl Guides, associations of university students and graduates, basketball and volleyball teams, and the Okers group of painters. Several theatre ensembles emerged, first under the wing of the Brisbane Latvian Association, then of the Latvian Relief Society Daugavas Vanagi, and most recently of the Latvian House-Saule Ltd. They have performed plays by Latvian authors, but also translations of plays from English and other languages. Independent theatre groups also have been active. Youth music ensembles have performed Latvian folk or popular music. The Brisbane Latvian Association’s library, a literary group, two private Latvian book and craft shops, and a book publisher fostered other aspects of the Latvian community’s life. Gradually a Latvian section developed in Hemmant Cemetery as people of Latvian origin were buried there. Since 1953 the various organisations and groups have held quarterly meetings to coordinate the calendar of community events and to tackle common tasks. Newsletters were produced separately by the larger organisations to keep members informed, but since 1985 a joint newsletter, Brisbanes Ziņotājs, serves this need. In the early years local Australian Lutheran congregations provided not only moral support but also made available their churches and church halls for Latvian services and community functions. In time, however, it was felt that the Latvian community should have its own premises. For this purpose a registered company, Saule Ltd., was formed Oct. 22, 1955, to secure funds and acquire a suitable property. On Sept. 1, 1960, the purchase of a former Seventh Day Adventist Church in Buranda was completed. It was quickly altered to provide a stage for theatrical performances and space for a library and gave a new physical focus for the Latvian community. Later the construction of the South-East Freeway enabled additional land to be acquired for future enlargement of Latvian House, but these plans took a long time to reach fruition. Helped by a Queensland government grant, the extended and improved premises were finally opened on Oct. 31, 1987. Latvian congregations continued to use existing Lutheran churches, particularly the Nazareth Church in Woolloongabba. All these activities served the internal needs of the Latvian community, but also provided a vehicle for forging links with the wider Australian community. Thus, one of the first engagements of the Latvian choir was to perform at a Lutheran gathering in Toowoomba Town Hall in March 1950, and the Latvian folk dancing group regularly performed at many community events. Soon the Latvian community took on an even bigger task—the staging of the 4th Australian Latvian Arts Festival in Brisbane in December 1954. This festival, held in rotation in the various capital cities of Australia, has since been staged in Brisbane on seven other occasions in 1958, 1962, 1970, 1975, 1981, 1988 and 1993. Many dedicated people have given long years of voluntary service to the Latvian community and, in acknowledgement of their contribution, Latvian Community Prizes have been awarded to 49 people. The following have also received Commendation Awards from the Latvian Federation of Australia and New Zealand for service to the Australia-wide Latvian community: Andris Auliciems, Arvids Biela, Andris Francis, Osvalds Freibergs, Valdis Gertners, Irēne Kūkums, Jānis Kūkums, Ēriks Ozoliņš, Oskars Rudzītis, Arnis Siksna, Māra Siksna and Paulis Sprincis. Some outstanding individuals have also received Australian and Queensland awards. Ēriks Ozoliņš was awarded a Medal of the Order of Australia in 2000 for service to the Latvian community, particularly as a composer for and conductor of the Brisbane Latvian Choir. He conducted a male octet and choir from 1950 to 1953, and the Brisbane Latvian Choir since 1953. In the 1980s he also started to compose choir music. Latvian choirs in Australia and overseas have included his compositions in their repertoire. Earlier he received the Queensland Migrant Service Award in 1993 for his service to the Latvian community, in particular for the creation of harmony and goodwill and the preservation of Latvian heritage through his outstanding contribution. Jānis Kūkums received the Queensland Migrant Service Award in 1988 for service to the Latvian community. He was involved in the work of many Latvian organisations, being the president of the Brisbane Latvian Association for 36 years, its vice president for seven years and the Queensland vice president of the Latvian Federation of Australia and New Zealand for 27 years. He was also the chairman of the organising committee of three Australian Latvian Arts Festivals in 1954, 1958 and 1962. His work extended beyond the Latvian community and for over 10 years he took part in the New Settlers League of Queensland and The Good Neighbour Council of Queensland. The Premier’s Award for Queensland Seniors who have rendered outstanding service to the community has been awarded to Maksimilians Sprīvulis (1992), Paulis Sprincis (1995), Jānis Kūkums (1996) and Tālis Lundbergs (1999) for their many years of work in the Latvian community. Several individuals of Latvian origin have made a significant contribution in the arts: Andris Toppe as a ballet dancer and choreographer; Jānis Balodis as a playwright, in particular exploring the lives of Latvian settlers in his trilogy of plays “Too Young for Ghosts,” “No Going Back” and “My Father’s Father.” Ināra Švalbe, a ballet dancer, has also directed a ballet school for many years, was the founding director of the Australian Youth Ballet which performed from 1978 to 1990, and in 1985 was made an Officer of the Order of the British Empire for her contribution to dance. After 1952 there were very few additional Latvian migrants, but the number of persons of Latvian origin grew for some time as younger generations went through childbearing stages. However, it has been almost impossible to provide meaningful estimates of the size of the Latvian community in subsequent years due to several complicating factors. Census data records only “Latvia-born” persons, though recently it also records people who speak Latvian at home. Even were it possible to relate these two sets of figures, it would still be hard to quantify the total Latvian community because many Latvia-born persons no longer speak Latvian at home and take no part in the Latvian community. According to research by Aldis Putniņš, in 1981 Australia had 18,800 mono-ethnic Latvians (first-generation Latvians and all subsequent generations whose parents are both Latvians) and 12,000 people of part-Latvian descent, with some 2,340 (7.6 percent) living in Queensland. In the 1986 Census 1,941 Queenslanders stated that they had Latvian ancestry, even though only 732 people spoke Latvian at home. In the 1996 Census there were 1,918 people of Latvian origin (758 first generation and 1,160 second generation), but of these possibly only about 500 still speak Latvian at home. Census records of Latvia-born people in Queensland show that their number has declined from 1,179 in 1954 to 1,083 in 1961, 980 in 1971, 918 in 1981, 885 in 1986 and 758 in 1996, despite a small increase to 913 in 1991. It is interesting to note that the proportion of Australia’s Latvia-born people living in Queensland has steadily increased from 6.8 percent in 1954 to 9.4 percent in 1996 probably due to retirees moving here from southern states. About 58 percent now live in Brisbane, with smaller communities in the Gold Coast (109 persons), Sunshine Coast (45), Wide Bay-Burnett (35) and Cairns (22). Almost all Latvia-born are now aged 50 years or more. People in Latvia have been able since 1991 to freely travel to Australia, but they have mostly come to visit friends and relatives or to study. The Latvian community in Queensland is therefore unlikely to increase through future emigration from Latvia, but may continue to receive a small inflow of retirees from other Australian states. As a result of the above factors the Latvian community has gradually become smaller and older in its composition. Following the exciting community foundation phase in the 1950s, and a period of consolidation during the 1960s and 1970s, the community was slowly moving into an established routine of activities in the 1980s. However, in the period from 1988, starting with the surprising birth of the independence movement in Latvia, the political struggles to escape from the Soviet Union, the restoration of Latvia’s sovereignty in 1991, and concluding with the first elections for Latvia’s Parliament in 1993, the community received a new boost to its political, cultural and social life. As events unfolded in Latvia, monthly meetings were held to inform the community of these developments. Political demonstrations and actions were held jointly with local Estonian and Lithuanian communities to enlist the support of Australian politicians and communities for the cause of Baltic States’ independence. A joyful celebration by the Baltic communities was held in a packed Latvian House in August 1991 when this had been achieved. This was followed by several years of renewing links with people and cultural and political life in Latvia. Much effort went into providing humanitarian aid to the homeland in the form of parcels of food, clothing, medicines, and books. Financial assistance was also given for the restoration of churches, cemeteries and memorials, and the establishment of the Occupation Museum commemorating Latvia’s years under Soviet and German occupations. These activities gave renewed purpose to the Latvian community and once again involved many second and third-generation people who had distanced themselves in previous years. In 1992 an Australia-Latvia Friendship Society was established and continued until 1995 as a focus for those who had only recently become aware of their Latvian origin or links. Several younger members of the community went to Latvia to help in the rebuilding of the country’s political and economic life and some may settle there. The importance of these external concerns and endeavours has gradually lessened as life in Latvia started to proceed in a more normal manner, and the Latvian community has refocused on its local life and issues related to a significantly smaller and older population. Gatherings of retirees have supplanted more youthful social functions of earlier times, and events are held more often during daytime than at night. A ramp has been constructed at Latvian House to allow easier access for the elderly and disabled. Consequently the nature of community life has changed recently, but it has also generated new kinds of activities. One of the most popular are monthly meetings sponsored by the Home and Community Care Resource Centre’s Community Options Program, at which senior citizens are informed about issues of concern to them. Perhaps as an outgrowth of these, a senior citizens folk dance group was formed and gives regular performances of dance, song and humorous skits. Almost all essential community organisations were established between 1950 and 1952, several have celebrated their 45- and 50-year anniversaries, most still exist today and a few have been created more recently. A summary of Latvian organisations (with foundation dates stated in parentheses) and their activities is outlined below. Brisbane Latvian Association (April 15, 1950) holds regular literary and social meetings, and represents the Latvian community externally. It also has a library of more than 3,000 Latvian books and periodicals. Brisbane Latvian Association Choir Beverīna (Jan. 14, 1950) gives one or two concerts a year and participates in other community events, as well as in Australian Latvian Arts Festivals. Queensland Latvian Evangelical Lutheran Congregation (Nov. 21, 1987) was formed by amalgamation of two earlier congregations, Brisbane Latvian Evangelical Lutheran Congregation (May 21, 1951) and Brisbane Latvian Evangelical Lutheran Māra Congregation (Oct. 14, 1951). Monthly services are conducted by a deaconess from Sydney or by lay members. Latvian Relief Society Daugavas Vanagi, Queensland Branch (Jan. 30, 1952) holds regular social and recreational events and raises funds for various Latvian community needs in Australia and for aid to Latvia. Latvian House – Saule Ltd. (Oct. 22, 1955) owns and maintains the premises at 24 Church Court, Buranda, which serve as the venue for most Latvian community events. Folkdancing Group Senatne (October 1951) was very active until its 50th anniversary in 2001, but has now lapsed. However, a new group, the kokle ensemble Zigrīda Ansamblis, in recent years has given annual performances and participated in other community events, as well as in Australian Latvian Arts Festivals and Youth Festivals. Crafts Group (Feb. 19, 1984) meets monthly and holds an annual fundraising event for local community needs and for aid to Latvia. Senior Citizens Folk-dancing Group Senči (Feb. 12, 1996) gives annual performances and participates in other community events. Brisbane Latvian School operated school classes on alternate Saturday afternoons but activity has lapsed since 1999. Student fraternity and sorority associations meet occasionally and hold an annual commemoration of the founding of the University of Latvia. Latvian Federation of Australia and New Zealand has a Queensland vice president who maintains liaison with local organisations and arranges an annual campaign to raise funds for various Latvian community needs in Australia and for aid to Latvia. Because Latvians came to Queensland as political refugees rather than voluntary migrants, they were more concerned with preservation of their ethnic origins and cultural heritage than in making their mark in terms of economic prosperity or in the wider Australian community. Their main contribution has been as hard-working and law-abiding citizens, and they have placed few demands on the Australian community, according to Putniņš. Most first generation Latvians and their children have fitted easily into the general community and have achieved economic security. A very high proportion (84 percent) of Latvia-born people own or are purchasing their home, a greater proportion (15.8 percent) than the total population has a degree or diploma, and many (42.2 percent) have managerial, administrative and professional occupations. Amongst them are many doctors, dentists, engineers, academics, teachers and surprisingly about a dozen architects, of whom four had their own practices in 1980s. Builders, retailers and others running small businesses also have been counted among the Latvians, but the main economic contribution has been in the professions. The Latvians have also made a contribution by accomplishing a true sense of multiculturalism in a uniquely quiet and effective manner. From the early years right up until the present they have preserved their own language and ethnic heritage, largely with their own resources. While focusing on the internal needs of the community, they have continuously also brought their arts, crafts, dances and songs to Australian audiences. They have integrated into the Australian community unobtrusively, clearly demonstrating an ability to live comfortably in two cultures and languages—surely the real essence of a multicultural society. The Brisbane community celebrates Latvian Independence Day in the community center, a former Seventh Day Adventist church in Buranda. It is gratifying to read about the vitality and scope of the Latvian community in Australia, especially in and around Brisbane. The importance that these organizations hold by those involved in creating and maintaining them, and those able to participate, enforce the belief that remembering, and participating is vital to maintaining an identity with our heritage. I am well aware of what can happen when no available nearby Latvian community exists, especially when the years take their toll, in conjunction with living in what amounts to be a wilderness as far as available resource is concerned here in western Montana, USA. My experience has been time and time again that the Latvian organisations want to die out. When there is an increasing amount of people with Latvian heritage it is shameful that there are fewer participants. 20,000 arrived in Australia from Europe after WWII and only 20,000 in 2007 claim Latvian heritage. Shame. Dean, with respect (as described in the article above) the Australian census only records people as Latvian if they were born in Latvia. It does record the main language you speak at home but that doesn’t count towards heritage. So it is more a fault of the Australian governments inefficient way of gathering data I believe & not that Australians with Latvian heritage are not proud to state their heritage. My father Eric Ozolins is in hospital after a major stroke where has lost his speech. Can anyone tell me where I could source pictorial books for him pls? Growing up in Australia with a strange name from a country nobody heard of was not easy! I’m not surprised the community has shrunk. We were never taught the language and no-one in the family ever speaks it. Now that Australia has become multicultural we can embrace our lost heritage and give our children names that match our surnames without fear of bullying at school. The problem is those that would teach us are dead or close to it! We’re not ashamed Dean, our heritage was stolen from us. I don’t know if you are the Eric Braulins I am looking for. If so, you have a sister Inara. I met you once. I need to contact you urgently regarding a family matter. I speak Latvian, but writing it is more difficult. I have lived in Latvia for a full year and visited seven times since Independence. Having been to Brisbane Latvian House a number of times with my Australian husband and my cousin and his Australian wife we found it not very welcoming, which is sad, and possibly part of the reason that the numbers have shrunk so much. My daughter tried to get to know Latvians there too as she wanted to learn folk dancing. She has visited Latvia many times and speaks some Latvian. It seems her Australian surname precluded her from being accepted by the group she met there. My grandfather came to Australia from Latvia in 1910, settling in Sydney where he married and raised his family. How he came to Australia is a fascinating story and I am now attempting to retrace some of his early history and how it relates to the political and social uphevals that were taking place at around 1905.I would really like to have the opportunity to talk with anyone from the Latvian community who has a knowledge of how life was lived in Riga at around that time as both my grandfather and father have both passed on.